It's still spring and yet we've had record heat since the beginning of October, and that has meant some already very warm nights. This trip from Cheapskater Trudy is an easy way to keep cool on those hot, sticky summer (or spring!) nights, and it uses something most households probably already have. I do the same with hot water bottles, filling them with iced water before bedtime. I put them inside a pillowcase or something thin as they do tend to get condensation on the outside, but it works just the same. Unfortunately wheat bags and similar products have caused house fires and severe burns to people who have had their beds catch on fire. Australian authorities have been advising against using these products for this reason. May be safe if used for local pain (heat pack for back) while awake an lucid, and then placed in fridge to ensure that they do not combust. Use at your own risk. And that's a good point Lara, but this isn't about heating the wheat packs, but rather chilling them to use in summer to keep cool. They make very good "ice" packs for sprains and bruises too - much better than the old favourite, frozen peas. I was a bit tired when I wrote that post. Indeed a great idea for ice pack alternative. Sleep like a baby, huh? 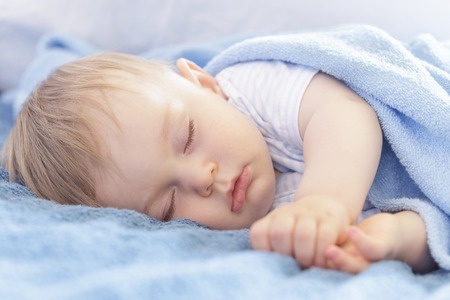 Most babies don't stay asleep for more than two to four hours at a time, day or night, during the first few weeks of life. Apart from that, rice packs are a better alternative than wheat ones. But when they sleep, even in those first few weeks, they sleep deeply and well. In this case wheat is the correct grain to use. It freezes and holds the cold better than rice does.